Plot – The zombie apocalypse hits Australia and mechanic Barry (Gallagher) must traverse the dead filled landscape to track down his sister Brooke (Bradey) who has found herself unwittingly apart of a nefarious organisation. It’s great to see not only the spirit of DIY filmmaking but Ozploitation cinema alive and well in the form of the Roache-Turner brothers (Kiah the director, Tristan his co-writer) blood filled and over the top zombie carnage horror/actioner Wyrmwood: The Road of the Dead, a film that was clearly a labour of love for these aspiring filmmakers and a film that in recent months has grown quite the reputation on the festival circuit that has seen the filmmaking duo well and truly become the next big thing in the local industry. Filmed from my understanding over a number of years on a budget that was more than likely made up of family, friends and everyone else in between, there is no questioning that this is an unpolished film but at the same time a film that you can’t help but appreciate on a level where you understand that the limitations set before the filmmakers failed to derail a film that is at its core a hugely energetic and often fantastically inventive tale. While we all know that the zombie genre of film and TV has virtually been done to (pardon the pun) death over many years Wrymwood has enough OTT ideas, violence and the Aussie humour we all know and love to keep us glued to our zombie guts covered seats for it’s pretty quick fire 90 or so minute run time and in an age of films that look to cover up there budgetary flaws, it’s a joy to see Wyrmwood reveal in its roots. Every part of Wyrmwood feels as though it could’ve been made in your backyard and in anything but a negative it gives the overall sense that this is a film that is truly its own beast. It’s glorious to see the Roache-Turner brothers use the locales at their disposal to great effort from the wilderness through the “road of the dead” this is a tale that feels Australian and benefits from it while the movies performances range from impressive through to never passing acting school yet it doesn’t bring the film down, it in fact brings it to a new level of enjoyable even though what your witnessing is akin to watching a friends high school media production. With some off the wall ideas (mind controlling zombie hordes, zombie blood as a new source of fuel, just to name a few) and with an impressively constructed yet whole heartedly home grown production Wrymwood is indeed a film in a league all of its own. There are myriad problems with the film, mainly some downright lame scripting and some pretty lacklustre acting but when things click in this blood splattered ride they certainly work to a very high level. On the back of this effort you’d suggest that the Roache-Turner brothers most certainly do have a career ahead of them that hopefully sees them given a much bigger stash of play money that would no doubt see them craft some wickedly inventive and entertaining cinematic moments. 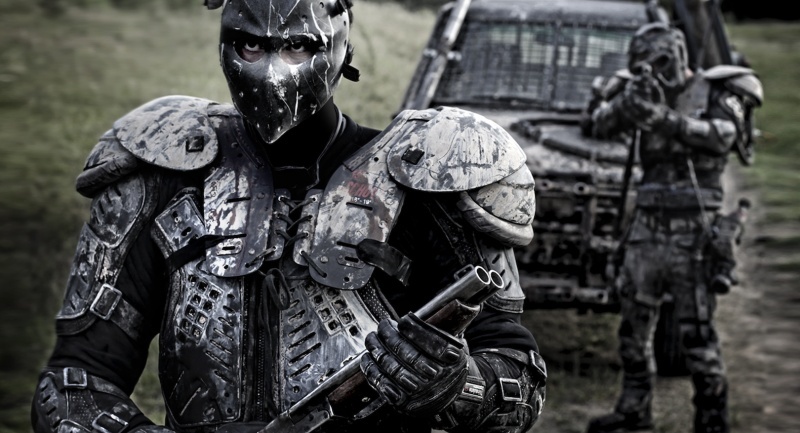 The acting and rather flat characters – both leads and antagonists – were the only problems I had with Wyrmwood as well. But the overall creativity and fresh spins on the subgenre were entertaining enough in terms of pure entertainment value. Spot on Mark, it had enough charms to make us forgive it’s less accomplished aspects and in the end its great to see commitment of the filmmakers shine through. One question, is it better than Undead? Hmm close one, very similar in many ways. I would say Undead wins out just. Glad you enjoyed it House, it certainly was a very fresh and frenetic take on the genre and great to see Aussies come up with it. Glad you dug it man, it was very cool for a little Aussie flick. Oh for sure Potato! There are some great under-seen gems in that era and some real genuine classics. Of recent years it seems like the local industry is picking up once more. Never heard of that one buddy so cheers for the mention! Will have to track it down.